Carol F. Durham, ED, MSN, RN, ANEF, is a clinical professor at the University of North Carolina at Chapel Hill School of Nursing where she serves as the director of the Education-Innovation-Simulation Learning Environment. Since 2001, she has developed simulation-based learning experiences for undergraduates, integrating simulation into key courses across the nursing curriculum, including all clinical courses and select nonclinical courses such as pharmacology and leadership. She has developed many simulated learning experiences for a variety of learners, including undergraduate students, nurse practitioner students, interprofessional students in nursing, medicine and pharmacy, as well as practicing registered nurses, licensed practical nurses and nursing assistants. Dr. Durham has been involved in patient safety and helping nurses translate the IOM competencies into their curricula using simulation, through the work of Quality Safety Education for Nurses (QSEN) (L. Cronenwett, PI). 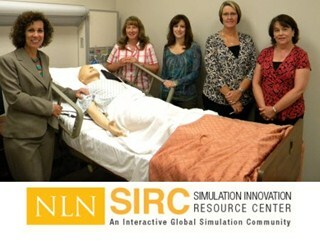 Dr. Durham is on the editorial review board for the Clinical Simulation in Nursing Journal and is faculty for the National League of Nursing Simulation Innovation Resource Center (SIRC). She is an Academy of Nursing Education Fellow.